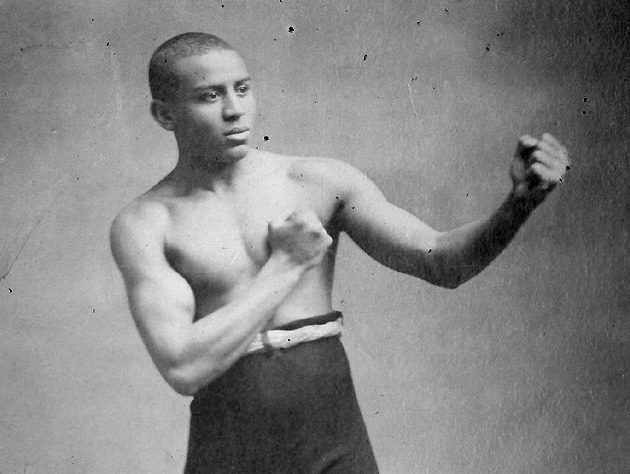 Joe Gans was one of boxing’s first true masters. He pioneered many now common boxing techniques and his crafty ways and unmatched ring intelligence earned him the nickname “The Old Master.” More than one boxing reporter from Gans’ era pegged him as the greatest fighter who ever lived. Nat Fleischer later rated him the best lightweight of all time, while historian Charley Rose ranked him second only to Benny Leonard. Eminent boxing historian Monte D. Cox regards Gans as the greatest lightweight ever, ahead of Leonard, Roberto Duran and Henry Armstrong, and, in terms of the best boxers of all-time, pound-for-pound, second only to the great Sugar Ray Robinson. Born on November 25, 1874, Joe Gans packed a lot of living and a lot of fighting into his short time on Earth. Sadly, he developed tuberculosis after his famous 42 round struggle with Battling Nelson. His health progressively worsened until he died at the age of 35 in his home city of Baltimore. But we remember Gans and his birthday is the perfect occasion to once again pay tribute to “The Old Master.” Here Lee Wylie gives us an in-depth dissertation on what made Gans so great. “From the beginning, what set Gans apart was the sophistication of his ring technique. Gans developed a style that capitalized on his exceptional athleticism and quickness. He delivered blows in a precise, correct and studied manner, with grace and economy of movement. Building upon the smart ring craft of his predecessor, George Dixon, historians credit Gans with inventing the uppercut and popularizing the basic techniques in terms of stance, footwork, blocking and counter-punching, as well as the central importance of the jab. After Gans, all boxers learned these techniques. 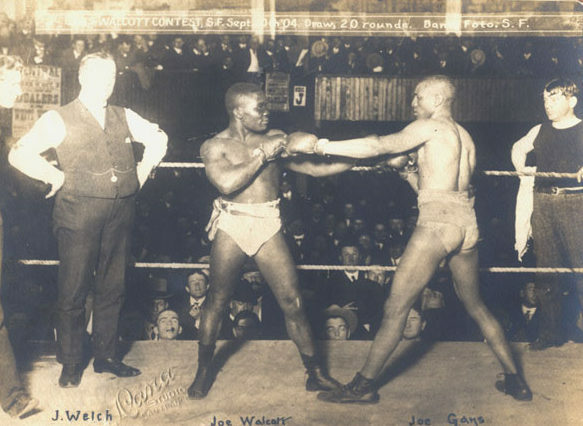 Gans (right) poses with fellow all-time great Joe Walcott before their 1904 bout.